French newspapers are full of Golshifteh Farahani, the 32 year old Iranian actress who had to leave her country four years ago, in order to be free on screen. She was in Cannes for the film festival and spoke about Jim Jarmush’s « Paterson » in which she acts, she is on French screens in « Les Malheurs de Sophie » by Christophe Honoré and is acting every night (until June 12) at Théâtre de la Tempête, at Cartoucherie de Vincennes, one of the best stages in France today. When she was a star in Iran, she admired Peter Brook and Ariane Mnouchkine. So when she moved to Paris and shot films with Jean Baptiste Mondino, she decided to learn French in order to act on stage. And the result is amazing. Her tiny accent gives her (a bit like Charlotte Rampling) a natural authority and drama. She reminded me of Isabelle Adjani, thirty years ago, but she also sometimes looks asian and has the moving smoothness of a cat. 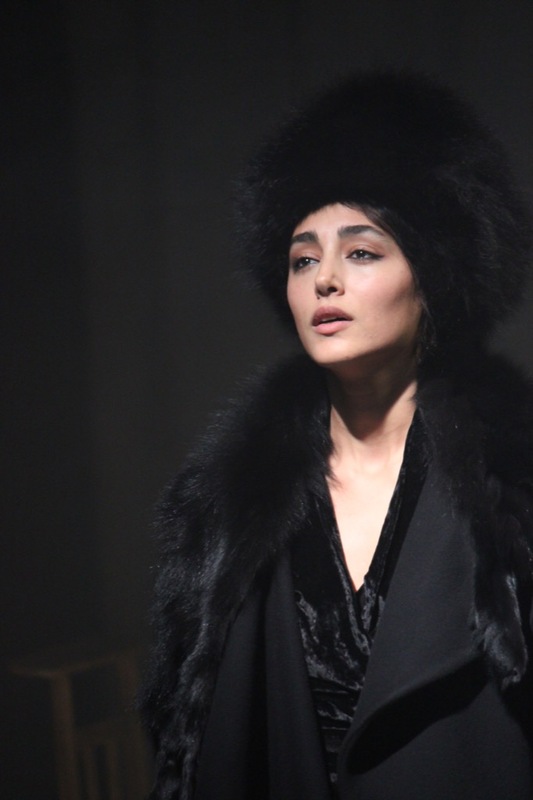 The play “Anna Karenine” adapted from Tolstoï’s novel by Gaëtan Vassart, is modern enough in style that Golshifteh can put all her talents into the acting. She plays the piano wonderfully (since she is 5) and dances on stage in a silver lamé dress. 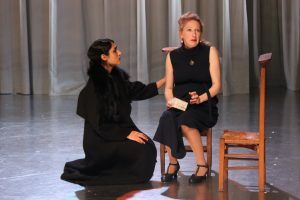 But the play’s success relies also on all the actors who are fabulous. 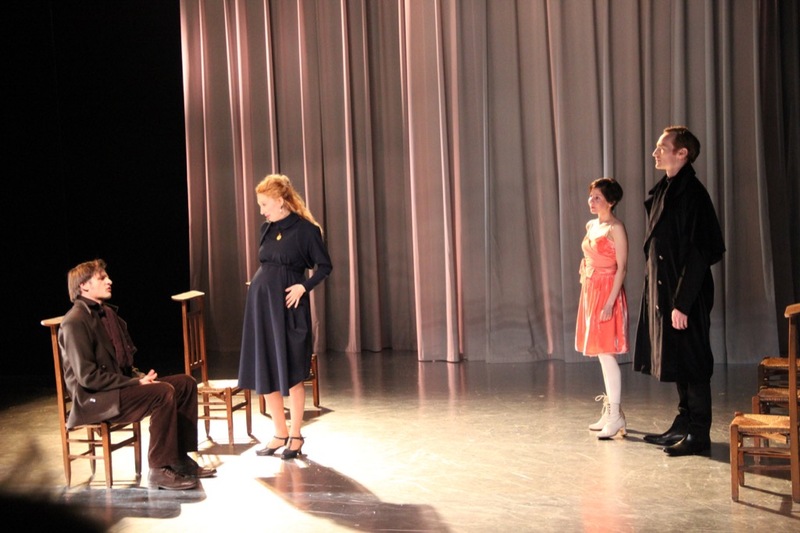 My favorite, Emeline Bayart, also a musician, is hilariously funny, constantly pregnant as Daria, the wife of unfaithful Stepan. 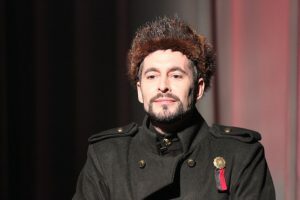 Stepan Oblonski, played by Alexandre Steiger is also excellent and Xavier Legrand plays a warm and grand Alexis Karenine. The Cartoucherie founded by Ariane Mnouchkine, has a very special ambiance in the Bois de Vincennes. You can arrive early and have a soup or a quiche on long wooden tables. Everyone speaks to each other and there is a slight 1968 feeling to the room. The surroundings are beautiful in the spring evening light and the whole evening is captivating. Especially when you hear and see so many good actors for 20€ ! Thank you for this dear Laure! Sounds fascinating.